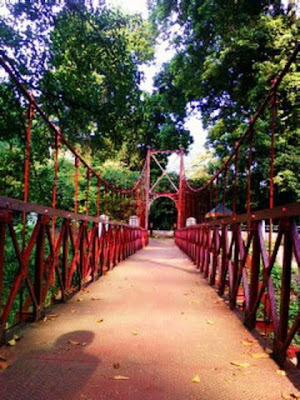 This red hanging bridge is located inside Bogor Botanical Gardens (Bogor, West Java, Indonesia). 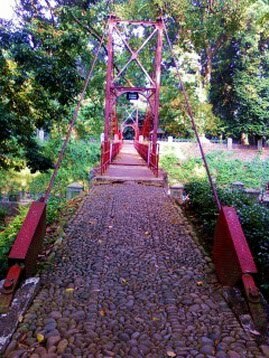 The bridge is very famous, every visitor surely wants to visit and across it. Walking on the hanging bridge will give you different sensation. You’re walking and bouncing at the same time.